Lewotolo (or Ile Api Lewotolok) volcano on the eastern end of a peninsula of Lembata (formerly Lomblen) Island forms a perfect symmetrical cone. The stratovolcano has 2 craters of 900x800 m and 250x200 m in diameter. Many lava flows have reached the coastline. Historical eruptions, recorded since 1660, have consisted of explosive activity from the summit crater. The observatory reported a light steam / gas plume rising approx. 500 m above the summit crater of Lowotolok. Since 29 December, the seismic network detected 4 earthquake swarms, one shallow and 3 deeper volcanic earthquakes. This could indicate magma intrusions under the volcano, which could (but not must) lead to a new eruption of the volcano in a near to medium-term future (weeks to months). Over the past weeks, degassing and seismic activity have increased significantly, suggesting a greater likelihood of a new eruption, most likely in the form of sudden explosions from the summit crater. During the last week of September, a steam plume of varying intensity has been observed rising up to 500 m from the crater, and volcanic earthquakes detected under the volcano have increased from averages of a few per day to several tens per day. "Rumbling sounds are heard around the mountain" and a strong smell of sulfur is noticed. Now in the rainy season, the main risk will likely be lahars. 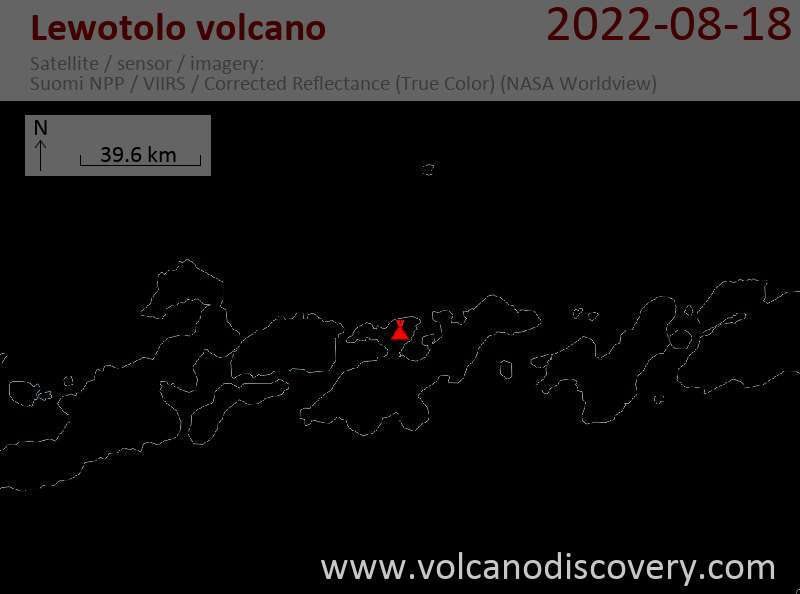 The remote Lewotolo volcano in the Flores Sea was placed on alert on 2 January, after an increase in seismic activity and incandescence was observed on 2 January.